It happens. Even to those better than I.
I wrestle with the sails. I fight the wind. I pursue the big catch. “I do it myself,” cries the spiritual toddler in me. After all, I can’t see that my Captain has a particular plan. Or if He does, I sadly fail to trust. My thinking is unfortunately finite and I make matters worse by taking my eyes off the Infinite one. So I substitute my own agenda. I decide that I can find a way to achieve the end goal. I go rogue. And my solo voyages on the open sea have admittedly been rather harrowing. I know this. Yet, I find it difficult to obey my heavenly Father’s command to “Cease striving, and know that I am God,” (Psalm 46:10a). Let’s face it. Sometimes, it’s tough to let go of that captain’s wheel, and allow our King to determine the course. Indeed, allowing God to steer the course seems to unsettle humanity as a whole. Wait on God? Why bother when we believe we can do it on our own? We set sail, determined to make our dreams happen. Going rogue. It’s the history of the human race. That’s right. Christ rescued this rogue and adopted me into His family. And if you have received His grace gift, He has done the same for you! Of course, even for the child of God, it isn’t easy to let go of self-rule. Faith is an extraordinary step. Like Jacob, I get distracted by the turmoil around me. I fear that others will subvert Abba’s plans for me. My faith in our all-powerful God falters. And I push my way into the Captain’s chair. In truth, however, you and I do not need to strive, to fight or selfishly compete for God’s best in our lives. 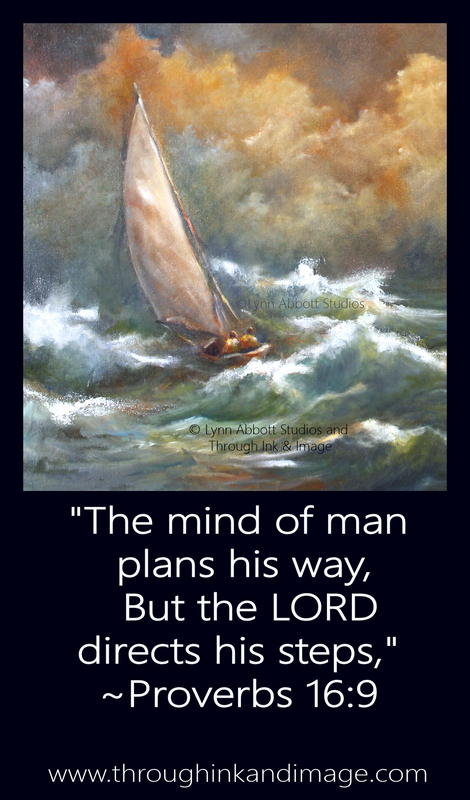 God loves us, and when we let go of our own misguided plans, He sets the course. He guides us to an infinitely better destination. Yes, in His great love and grace, Abba waits for His prodigals. He directs our lives in order that “…He might show the surpassing riches of His grace in kindness toward us in Christ Jesus,” (Ephesians 2:7).